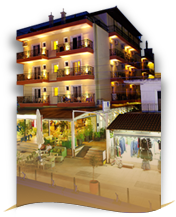 Konstantin hotel is located at Katerini's Paralia area in Pieria Greece since 1978. It consists of 42 fully renovated luxurious rooms (air conditioned, TV, refrigerator) along with a variety of extra services such as wireless (Wi-Fi) internet connection. 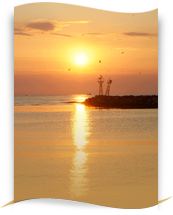 The hotel's advantageous position (merely 20 m. from the sea front) and the breathtaking view of the magnificent mount Olympus effortlessly lures a multitude of gratified tourists. Your stay at KONSTANTIN hotel can become even more interesting by joining any of our trips to destinations within or beyond the prefecture of Pieria, such as Katerini, mount Olympus, Meteora, Edessa, Skiathos.